Review the Texas Department of Agriculture’s and the Texas Animal Health Commission’s role in the response to Hurricane Harvey. Examine the short term and long-term economic and agricultural impacts to producers in the agriculture and livestock industries in Texas as a result of Harvey. Identify ways to mitigate the impact and prevent substantial losses from Harvey and future natural disasters. Mr. Chairman and members of the committee. My name is Patrick Tarlton and I am the Executive Director of the Texas Deer Association. I represent more than 7,500 members, and an industry in Texas that represents a $1.6 billion economic impact to the state of Texas. The Texas deer industry also contributes nearly 17,000 jobs to the economy every year – most of which are in rural Texas. For the Texas deer industry, Hurricane Harvey represented an unprecedented natural event. Over the course of a few weeks, many facilities experienced unparalleled death loss, unexpected displacement of animals, and catastrophic facility damage. Our industry experienced the same disastrous impact that many other agricultural industries faced. Not only during the high winds and heavy flooding, but also in the weeks following the storm, thousands of deer were lost across facilities in Texas – both to the storm and to EHD/pneumonia. Our Association stands committed to mitigating the impact of substantial losses from events like Harvey and other future natural disasters. We would like the committee to direct our industry to work alongside the Texas Animal Health Commission and the Texas Parks and Wildlife Department to develop a specific, formal emergency response plan for deer breeding facilities in Texas. 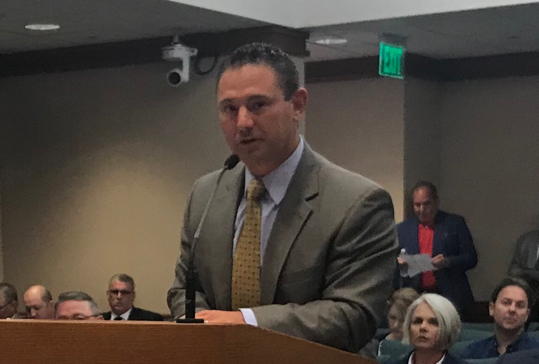 This plan should include the ability for producers to move animals easily and effectively to other facilities across the state of Texas without delay. This plan should also include temporary suspension of normal movement restrictions and reporting timelines. States like Florida implemented temporary movement procedures immediately to assist producers in moving animals across the state – away from dangerous coastlines and flooding areas. Our Association would like to work alongside our regulatory agencies to develop a response plan to any natural disaster that allows producers to immediately move animals and easily notify the agencies of movement without delay or timely approvals. Thank you for allowing me to testify today and I look forward to answering any questions you may have.